Kenny Powers was introduced to the world with a punch to the mouth. Literally. The cold opening of the Eastbound and Down pilot episode shows a random guy who, upon recognizing Kenny Powers, asks what he was doing as a substitute teacher in the small town where they both grew up. “You banged my sister,” the guy says, trying to relate to Kenny Powers, because…, well, that’s how people relate to each other in Kenny Powers’ world. For that, he got punched in the mouth. 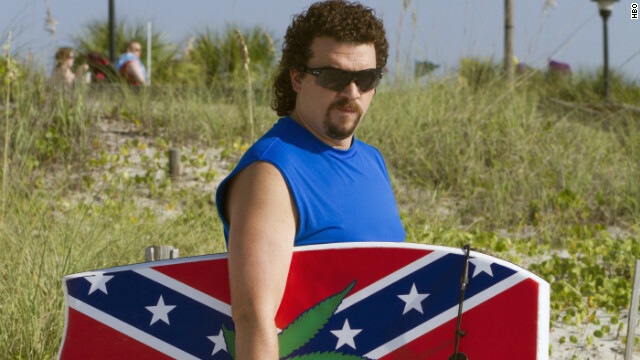 While watching that pilot, it doesn’t take long to realize that Eastbound and Down is on to something remarkable. The story arc of the obnoxious athlete with which we’re all so familiar was played out in a five-minute montage of fastballs, middle fingers and ethnic slurs. It seems like a caricature, but it wouldn’t be as funny if it weren’t so close to reality. Guys like this really exist, in people like John Rocker, Luke Scott and Jose Canseco. Even worse, they’ve all become millionaires several times over, in spite of and sometimes because of their behavior, which lends itself so easily to parody. The first season of Eastbound and Down was so perfect, such an accurate portrayal of what a guy like this would look like after having been humbled enough to land on his brother’s couch and substitute for a gym teacher at the high school where his legend was born, that the start of season two was initially disappointing to a lot of us. The story, along with Kenny, had moved to Mexico, away from that comfortable source of comedy. But that says a lot more about our expectations for comedy than it does about the biggest possible payoff for it. Eastbound’s creators said in a recent Grantland interview that the decision to start season two with Kenny living in Mexico under a fake identity was made to avoid falling into all-too-common “fish out of water” trap that you can find in places like CBS. Eastbound’s game was never Charlie Sheen trying to balance his bachelor lifestyle with his brother’s family priorities. It was the long-term effects of the American delusion that because you were once considered great in the public eye means that a.) you will always be great and b.) even when you’re not, you deserve to be treated like you are. Watching Kenny Powers slick his hair back and march around demanding to be treated like a celebrity was only funny because he wasn’t anymore. He refused to believe it from the pilot episode straight through the season three finale. This Kenny Powers, of course, was on a collision course with the delusional Kenny Powers we’ve all come to know and love. 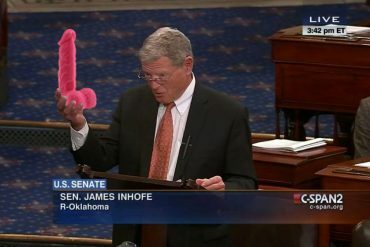 How it happened was entirely fitting. When Kenny accepted the invitation to party with Guy Young, Kenny’s former teammate (played by the perfectly cast Ken Marino), we all expected him to wake up in a hotel room covered in coke and vomit and strippers. But he didn’t. He woke up at home with a hangover and got ready for work. The thing is, it wasn’t so much the partying and drugs that drove Kenny Powers – it was the affirmation that he was special. The prospect of installing a pool was a perfectly positioned device to enact the shift that would kick off the final season. It was only momentarily mentioned in the beginning of the premiere, when April assured Kenny that they couldn’t afford one, and resurrected when Kenny was put on the spot when surrounded by former pro athletes who ended up much better off financially than him. The pool was what got him accepted into that group of former players. So, to learn the next day that the loan he needed to get the pool was denied was to tell Kenny Powers that the party really was over – unless he decided to reignite it. By the second episode, Kenny actively tries to reestablish himself as a famous figure in the sports world. During Kenny’s first appearance on Guy Young’s “Sports Sesh,” we see Kenny’s family sitting on their couches and watching him struggle through another opportunity to cash in on his celebrity. It was kind of meta, as if April and Stevie and Tim Heidecker and Jillian Bell (both of the latter welcome additions to the show) were watching what we’d been watching the past three seasons. It was a less pathetic – and less funny – re-creation of Kenny’s first-season celebrity appearance at Ashley Schaeffer BMW, down to the outfit. Kenny struggles without the direct affirmation of Stevie’s creepy servitude or April’s unconditional acceptance. The pompous celebrity shrivels behind what Kenny really is – a self-conscious burnout with little to nothing real to say. It was interesting to see Kenny’s supporting characters laughing and cringing as we have been. The difference is that April and Stevie jump into the storyline after watching Kenny on TV. And for that, we got one of the best Eastbound and Down montages to date – Stevie training Kenny, teaching him to shoot free throws and smooth out the crease in his pants. Even April comes around, as she always does, and cheers Kenny on as he succeeds at the expense of a guy who’s really just like him. The final chapter of Kenny Powers’ story will see him trying to get it all – “fame, fortune, what dreams may come,” as he described it. It just so turns out that his family will be there too. It’s a perfect situation for Kenny’s sendoff. The first season showed him try to accept his own mediocrity, the second showed him try to abandon it, and the third showed him reclaim his fame at the expense of his family. The final will show him actually deal with finally having the life he’s always wanted. Years from now, Eastbound and Down will be recognized for what it’s accomplished. At a time when formulaic, derivative TV comedy is making a lot of people very rich and even HBO is showing little tolerance for comedies that take risks, the Eastbound and Down writers created a four-season phenomenon that tells a man’s story from age 19 to 40. It’s made us love an almost unlovable character, all the while mocking us for our tendency to celebrate the obnoxious. Kenny Powers doesn’t deserve to be famous again – he just got high one night and decided he would be. What’s funny is that it actually often works that way in real life. And we should know – after all, we’re still sitting right next to April and Stevie, cheering him on. Next articleThe Walking Dead, Season 4 Ep. 1 – "30 Days Without an Accident"